The Scream from Nature is an eco art project which aims to raise consciousness about the relationship between humans and nature. The project is a contemporary interpretation of Munch’s masterpiece the Scream, in which the iconic anxiety-ridden face is recreated outdoors in nature, with a variety of materials. 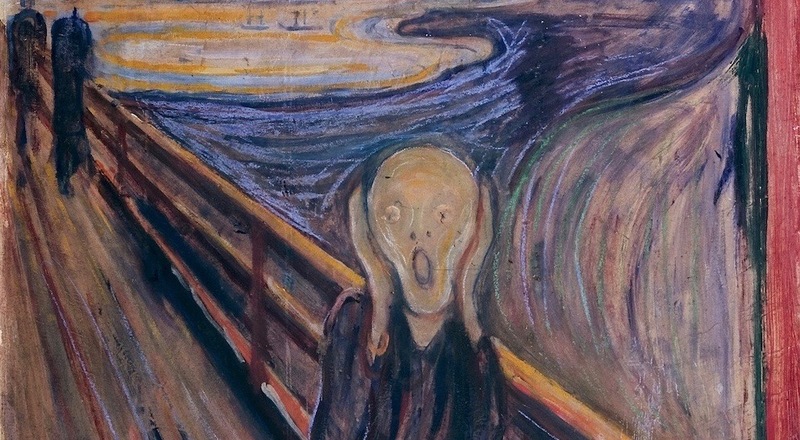 Munch wrote several texts about the Scream motif, the most poignant among these being: “I felt a huge unending scream course through nature”. Now, over 100 years later, we hear another ”scream” from nature: droughts, forest fires, floods, earth slides, extreme weather, melting glaciers, rising ocean levels and mass-extinction of animal and plant species are just some of the challenges the world faces today. Still, the project invites to positive thinking, focusing on what each and every one of us can contribute with: Like recycling, sustainable consumption – and making Screams from Nature to create awareness. Initiated by Norwegian artist Lise Wulff, the Scream from Nature is developed in collaboration with Pure CSR, the environment NGO Bellona and Serbian artist Branislav Nikolic, and with PanStudios as digital media partner. The project is part of the official celebration of Edvard Munch’s 150th anniversary (Munch150), and collaborates with UN Environment Programme.